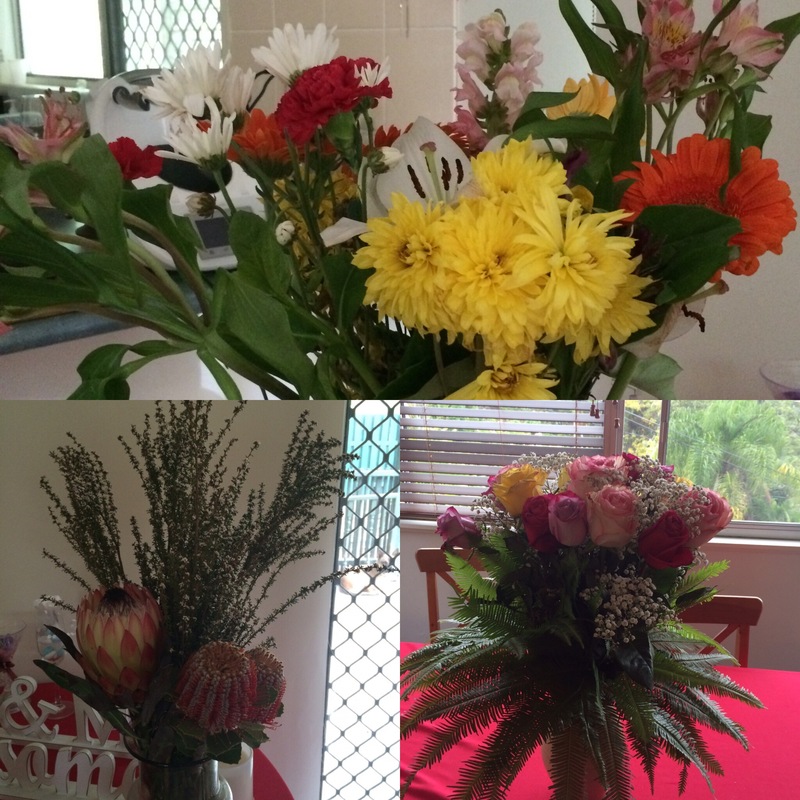 This week I’ve been super busy (for a change!). 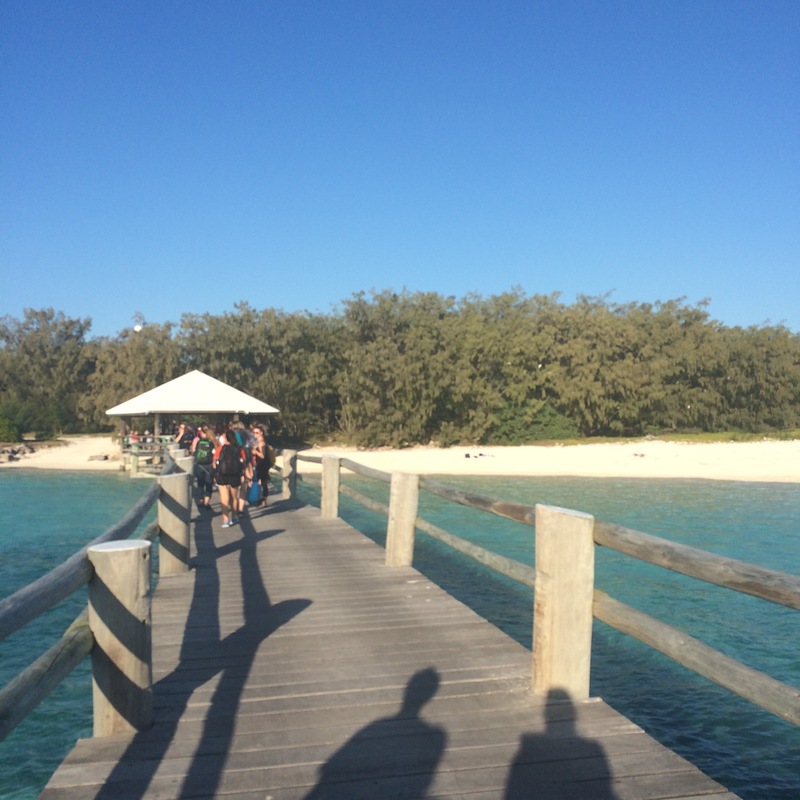 I was on the beautiful Heron Island, south of the Great Barrier Reef. 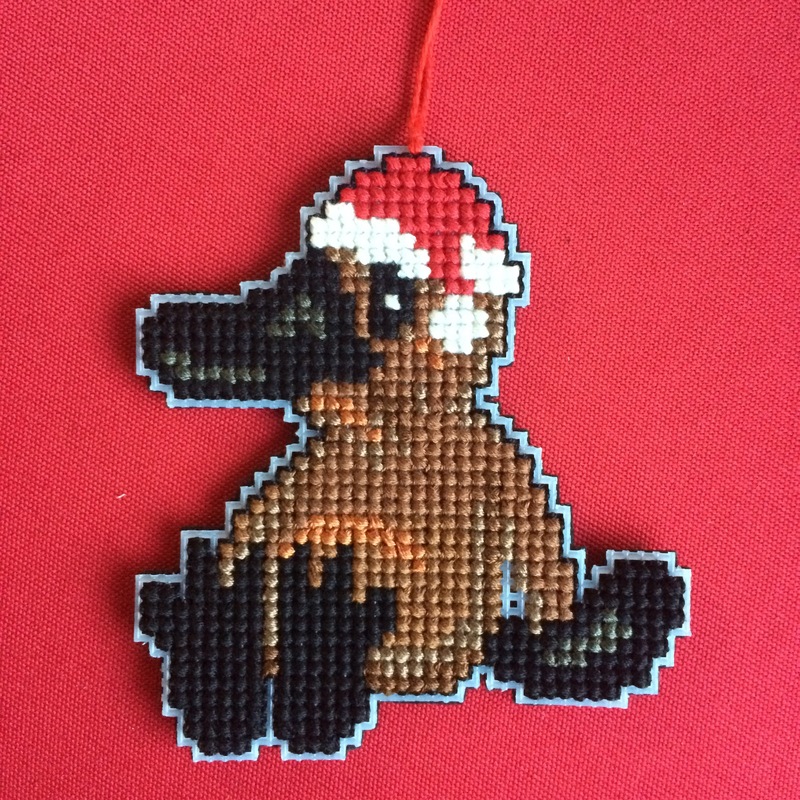 But for now, I have finished my platypus ornament, it turned out so so cute! 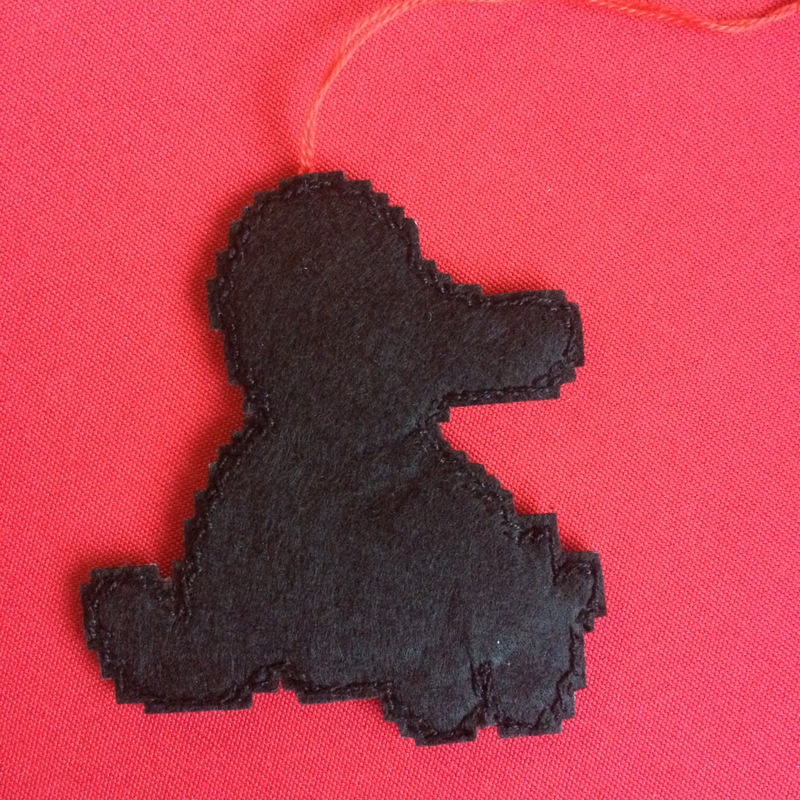 I backed it with black felt and it has a loop to hang it in a Christmas tree. 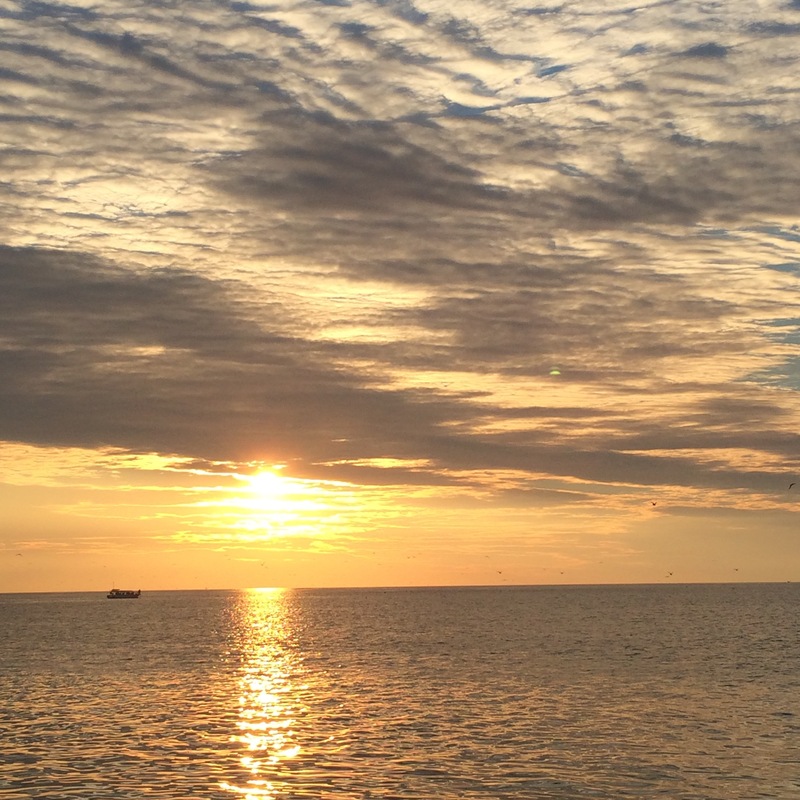 I don’t know about you but my week has been super super busy! 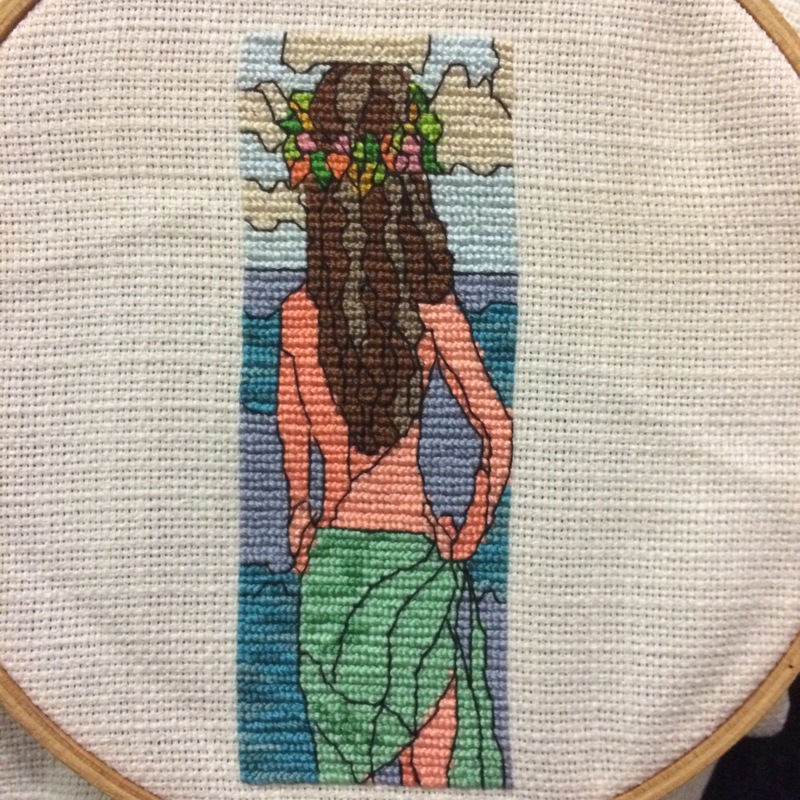 I did manage to finish the August stitch along hosted by the wonderful Helene though. 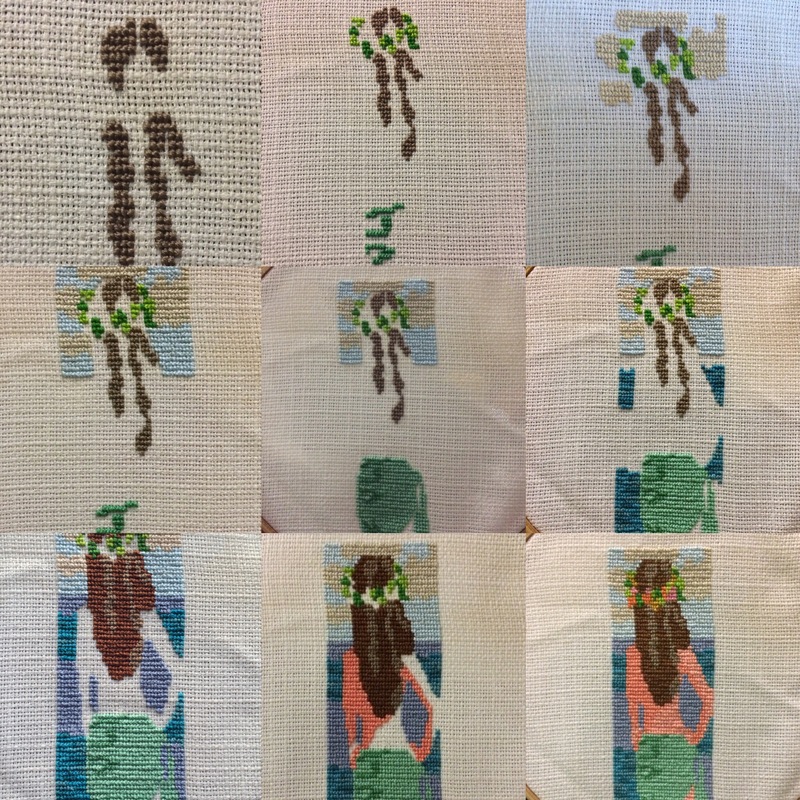 I have good hope that I’ll manage to catch up with the SAL in October, as my husband will be away for a good part of the month, which means undistracted stitching time for me! Now for an even busier weekend! Today is a bit of a special Wednesday as it’s also my birthday!! I got so spoilt by my friends and family, and I’m currently in a bit of a food coma, as my husband treated me to laksa 🙂 yum! I just wanted to share with you some crafty goodies I recently received. Yep, that’s a lot of threads! Most of them are DMC as well, which is so nice and they all came sorted in those 4 boxes. 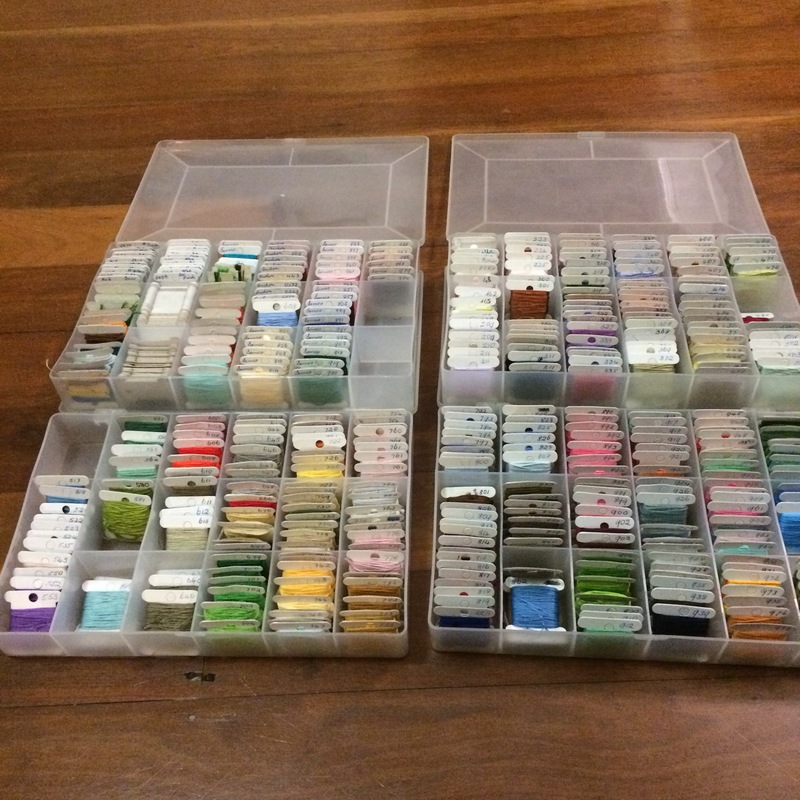 I did a bit of rearranging and also bought a fifth box to finish fitting all the extra threads. There are still 2 small food containers filled with threads, plus my own ‘collection’ that I need to add. I also got 2 huge crates filled with cross stitch and crochet books/magazines. 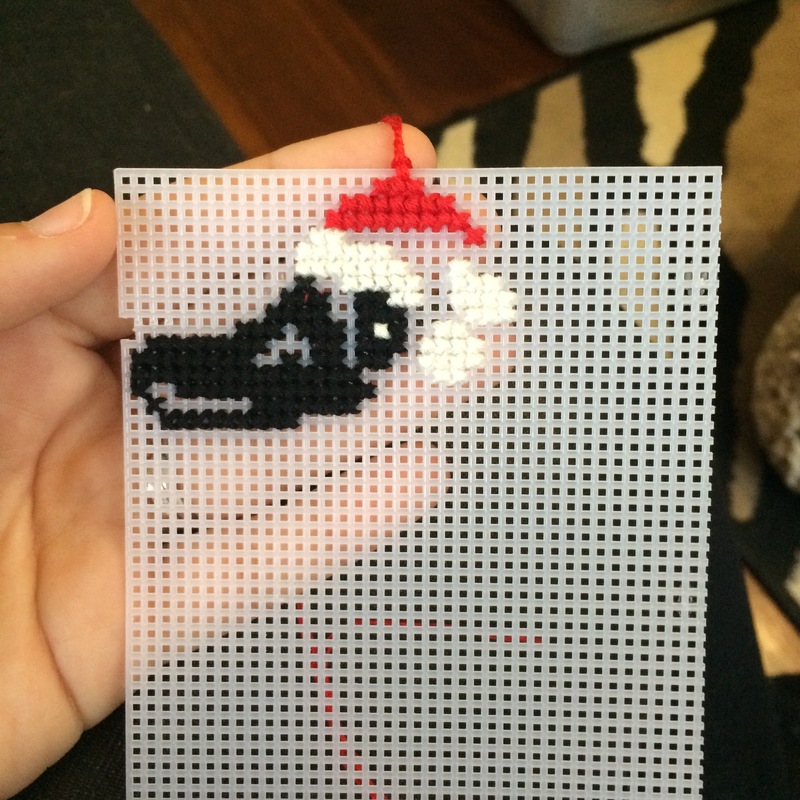 I started to make this cute platypus Christmas ornament from one of the magazines I found in there. I also got gifted not one, but two books to knit socks from my husband and I can’t wait to make a start on those! Aren’t birthdays just the best? 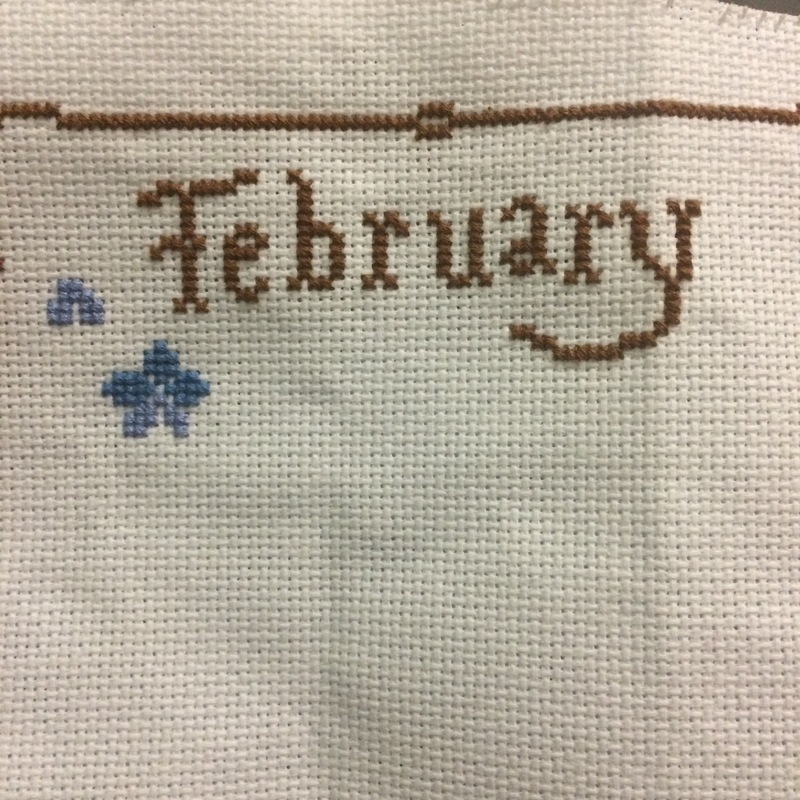 Here is my February month on my joyful world calendar from the snowflower diaries. I am going slowly but surely! 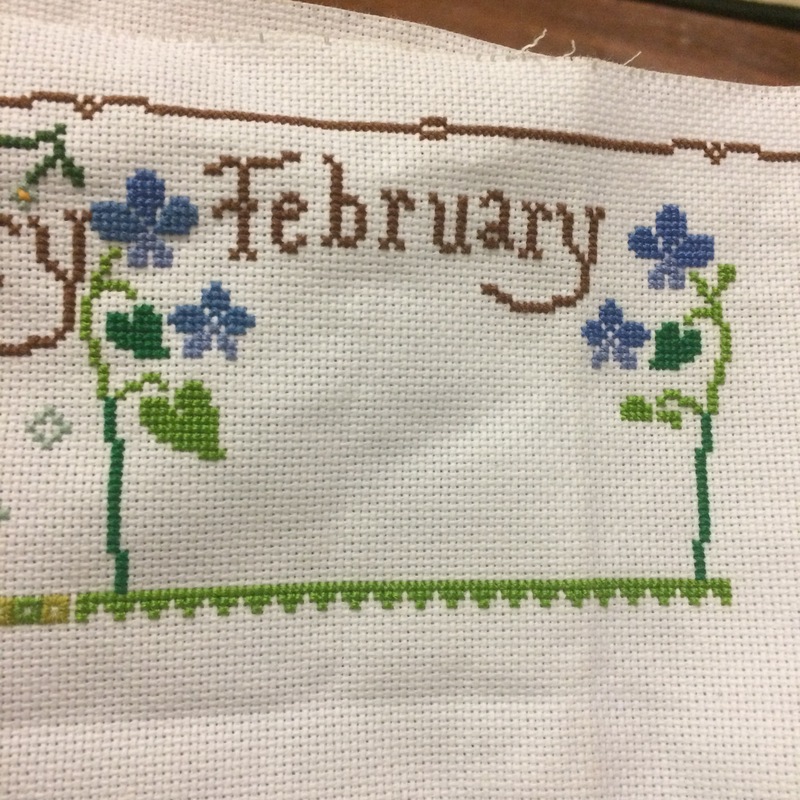 And here it is next to January. 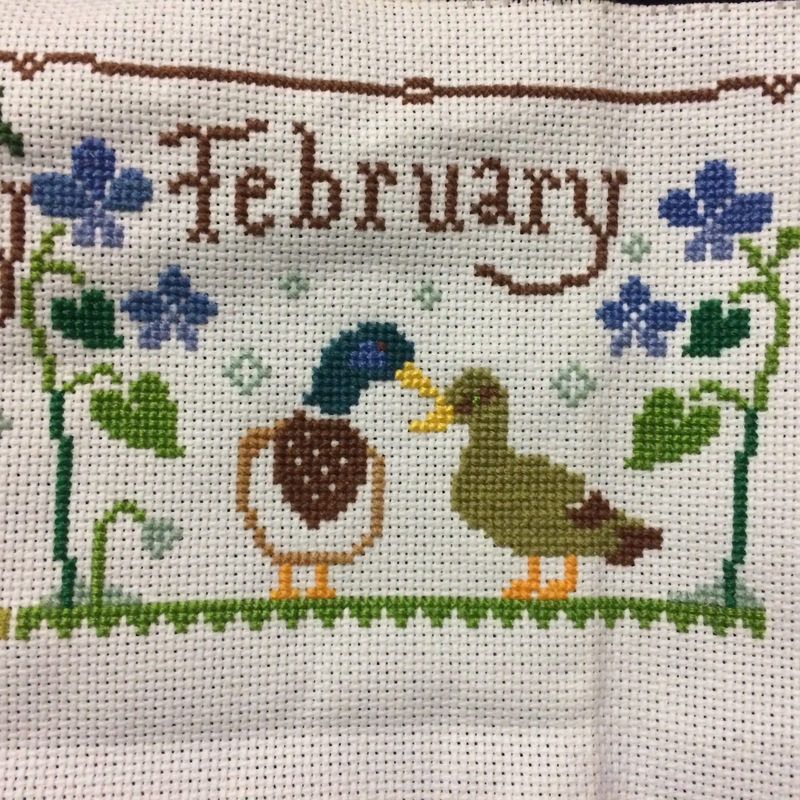 Next up is March and it has such a cute design, with a heron standing in a pond and a tiny chick 🙂 I’m very excited to stitch that one! Today I want to share with you my very first handmade piece of clothing (other than costumes). Although I’ve had my sewing machine for almost a year now, I always felt too scared to actually make an everyday wearable garment. Silly I know! 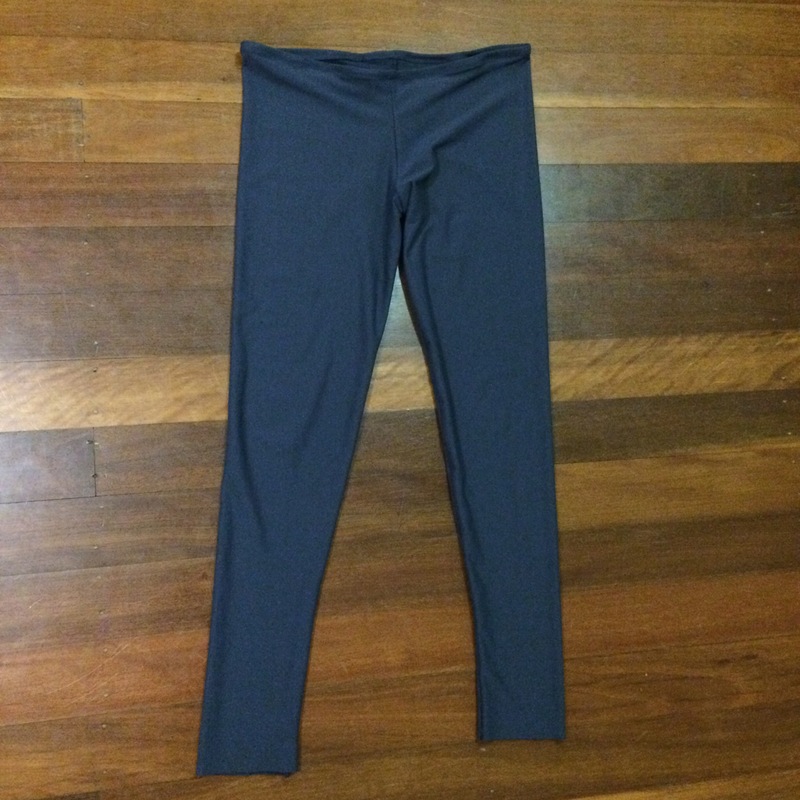 Well, this week I took the leap and decided to make leggings. The pair I had was falling to pieces at the seams as well, so I was really in need of new ones. 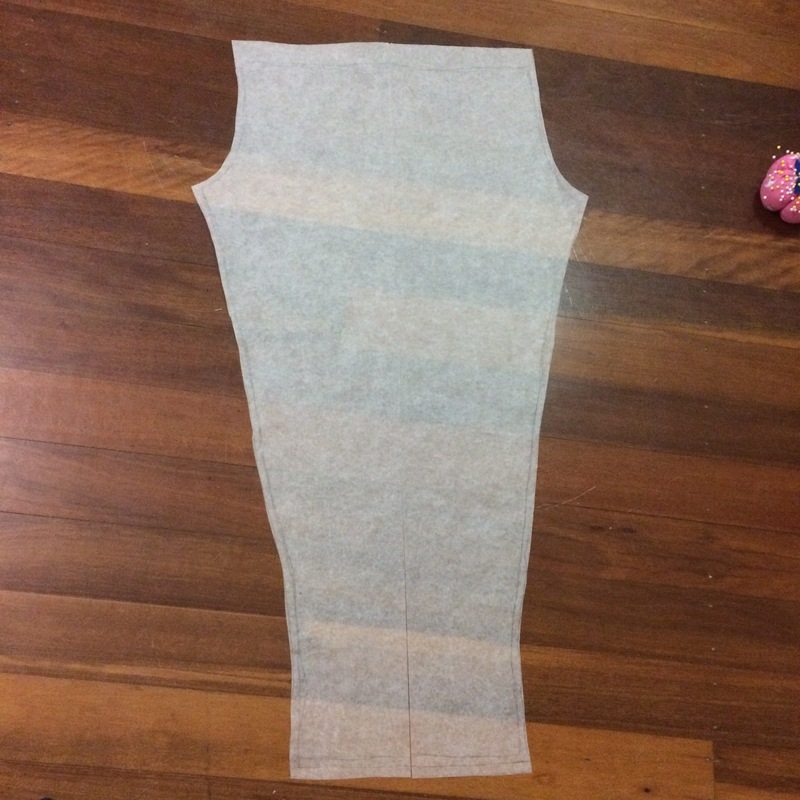 Like I said, I already had a pair of leggings that fit me pretty well, so I used them to draw my pattern pieces (I use baking paper for that, it works surprisingly well). Then I sewed along the sides of the legs, leaving the crotch area open. At that point I wanted to make sure it would fit me, so I tried the legs on and it was perfect! After sewing the crotch, I had to add an elastic at the waist. That was a bit daunting but I managed pretty good. 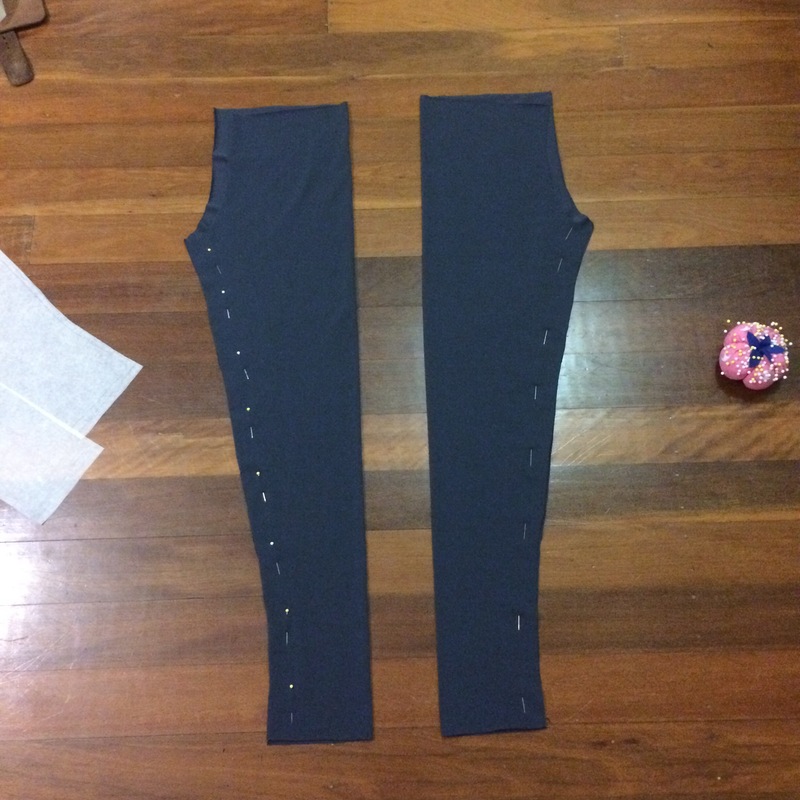 I first sewed the elastic on the inside of the pants and then hemmed the top of the pants over the elastic. Two more hems for the ankles and I was done! As always, I turned to Pinterest for ideas and I found this pattern for a puff stitch slouch beanie. I used Lion brand Canyon yarn and it worked out really quickly. 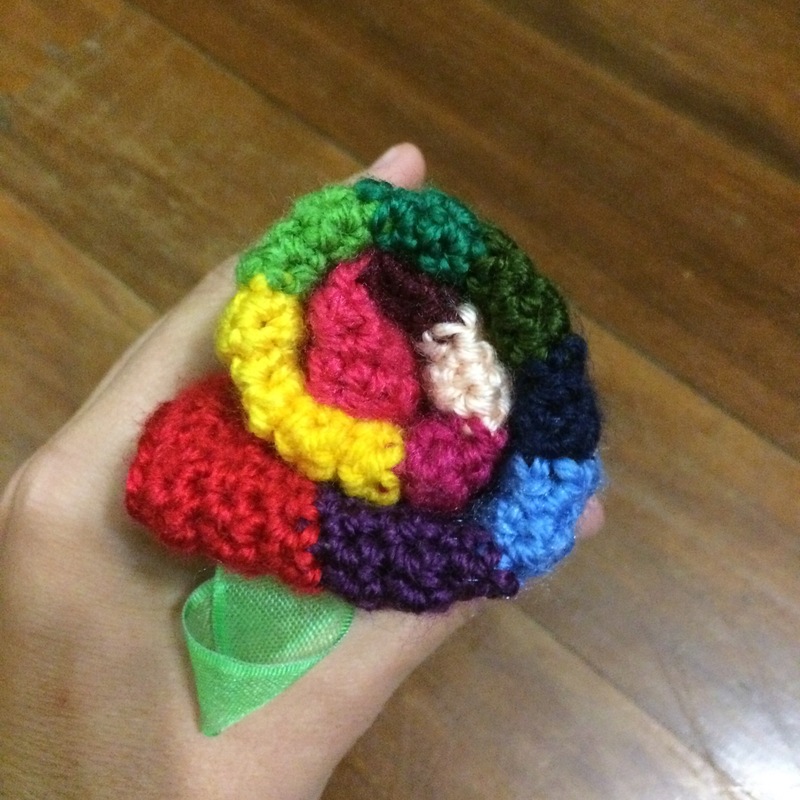 I ended up doing puffs with 4 stitched instead of 3 and 20 rows of the puff stitch, and it was enough for my head size. Did you miss me? I certainly did miss you! I was at a conference for work this week, and I got to visit the beautiful city of Hobart, in Tasmania. 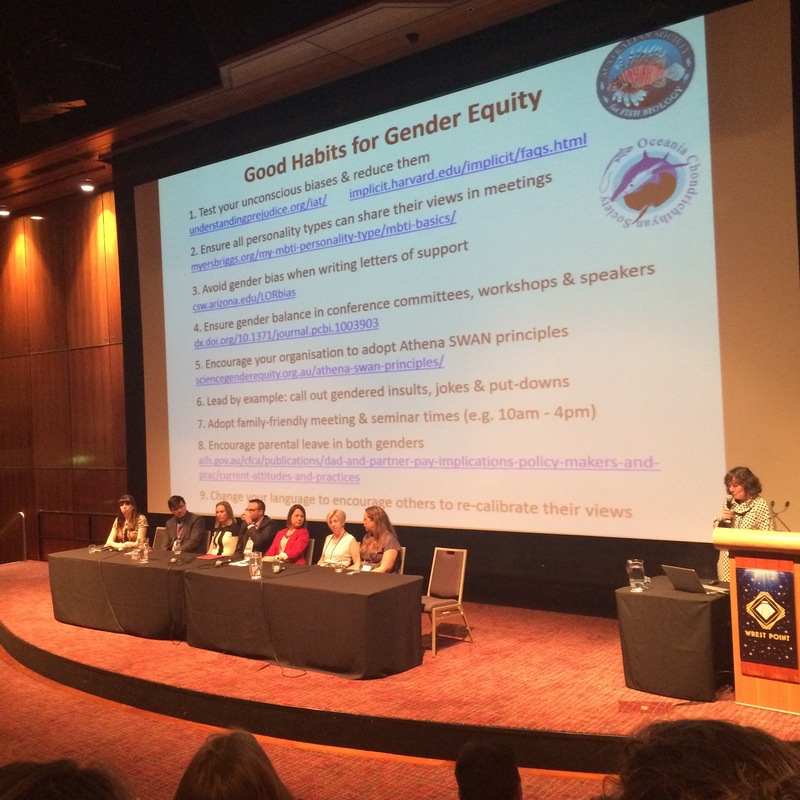 The conference was pretty great, and we even started the conversation about gender equity and women in STEM sciences, which is about time. 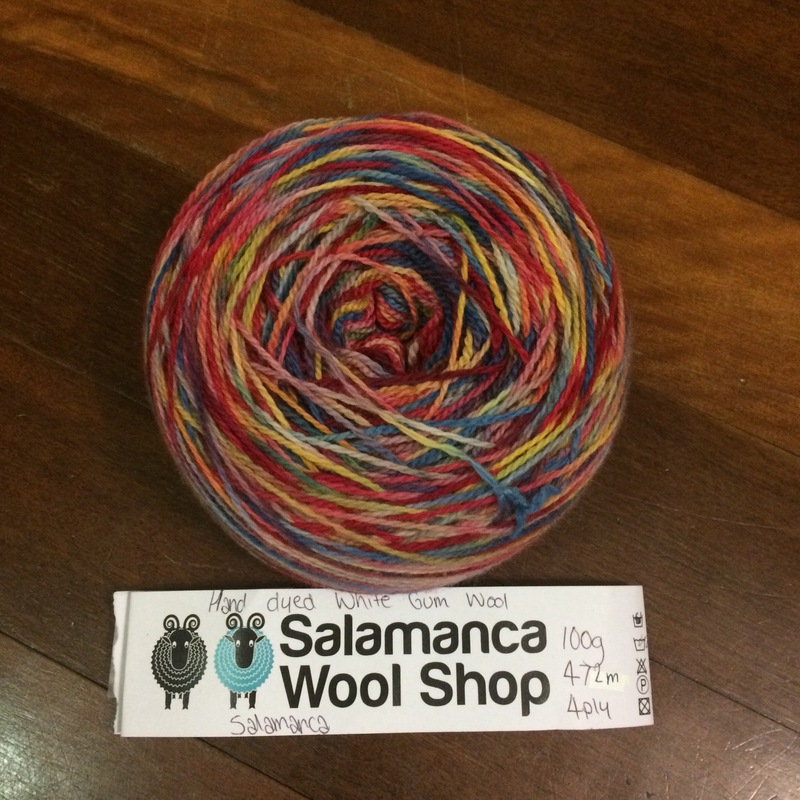 Another very exciting point for me was that I got to buy some gorgeous 100% Tasmanian wool. 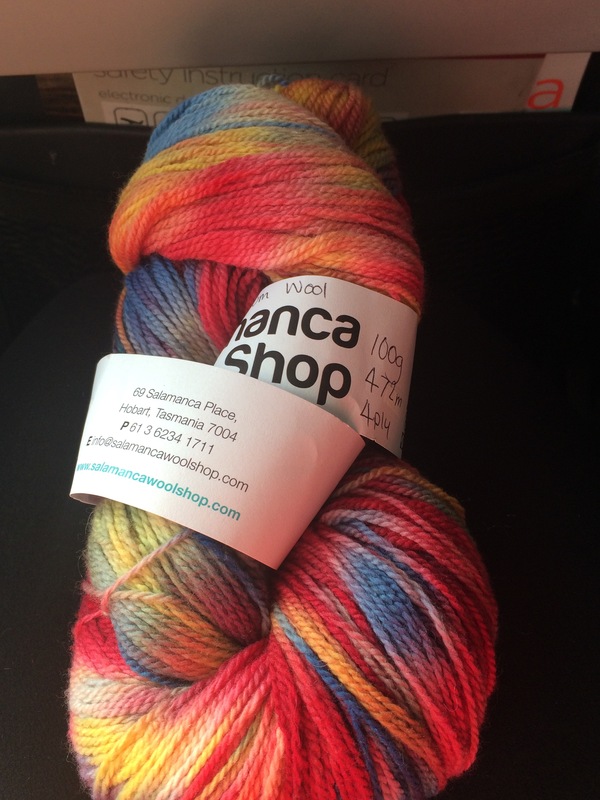 And it’s also hand dyed! I think I’ll make a shawl/scarf with it, as I lost my scarf on the plane on the way there. 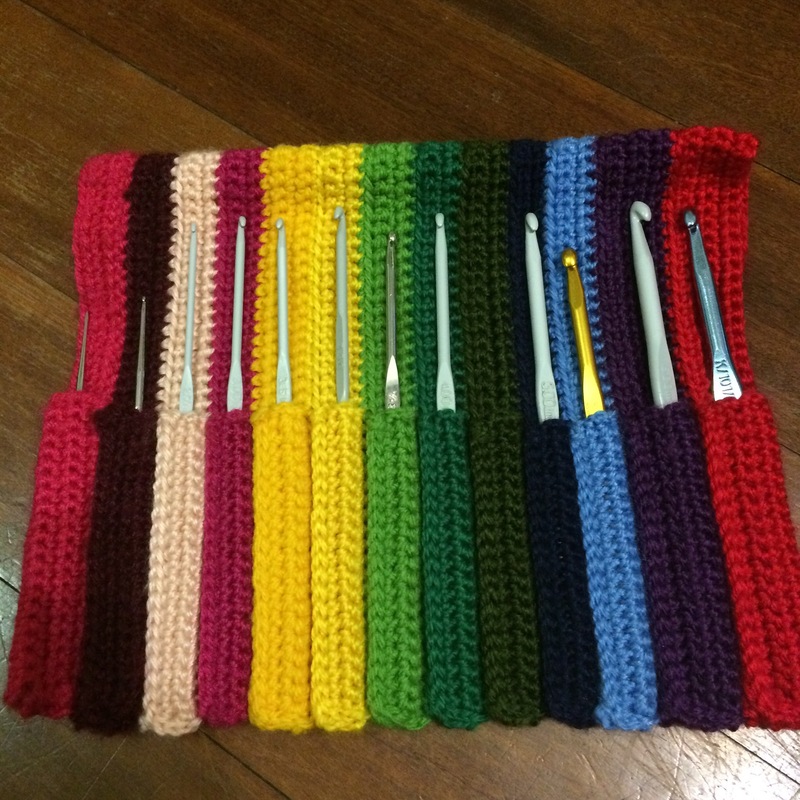 After having this on my list of things to do for months, I’ve finally finished my rainbow crochet hook case. I now has a total of 13 compartments (11 small and 2 big) and can be rolled for easy storage. 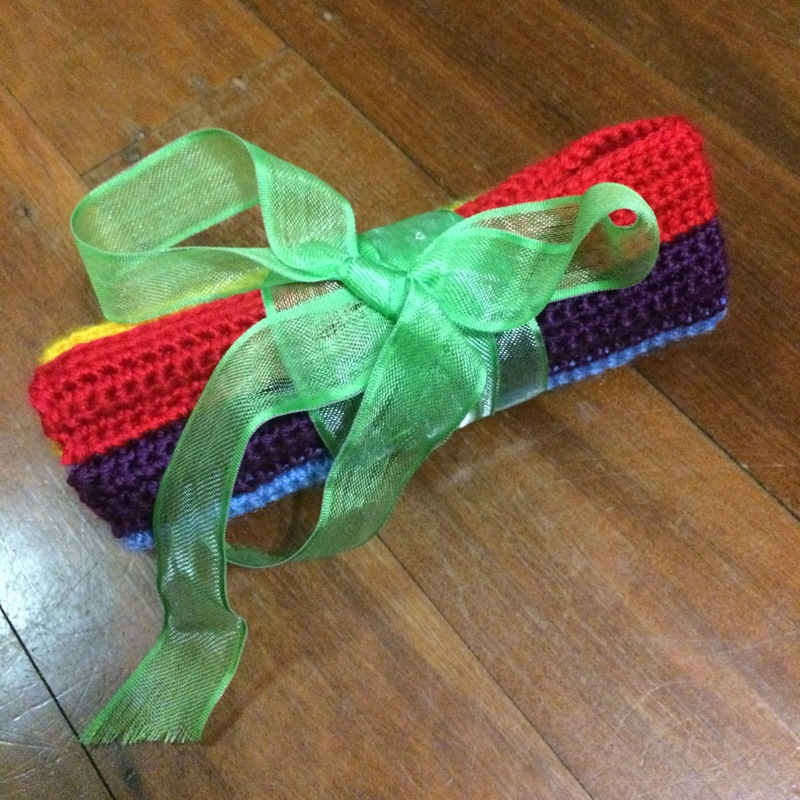 I used a bit of ribbon I found in my craft stash to make sure it was securely closed and voila! All my hooks have a safe and cosy place to live now, no more randomly finding them under the couch (I hope anyway! ).